Do you want a computerized sewing machine that is incredibly easy to use? Are you looking for a machine that can give you some custom options without going overboard and features that you’re never likely to use? The Janome 8077 computerized sewing machine might just be the perfect combination of form and function for you! 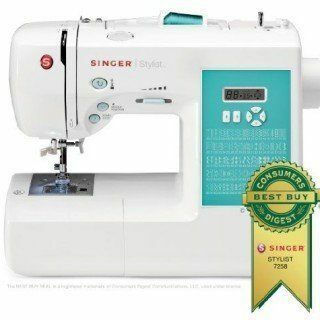 With 30 built-in stitches that can be started with one-touch convenience, you’ll find plenty of creativity just waiting for you at a pretty incredible price. It’s less than $350 on Amazon right now! 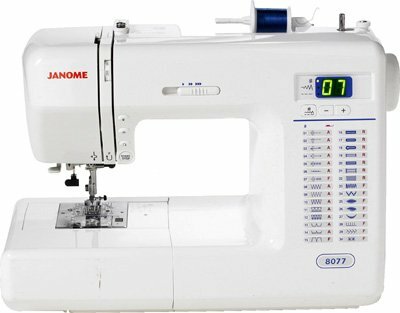 What Key Features Does the Janome 8077 Have? The one feature that really stood out to us with this particular machine was the included Start/Stop button. Instead of the traditional sewing methods that require a foot control, this machine can be used on a desktop with just the push of a finger. With just two presses, you can get the unique stitch that you need to get the job done and then go on to your other tasks that need to be completed that day! there are options to allow for stitch width and length to be adjusted with just the touch of a button as well. If you’re looking for one of the easiest to obtain, yet most professional-looking results you’ve ever seen from a sewing machine, then you’ve got to see what the Janome 8077 can do. 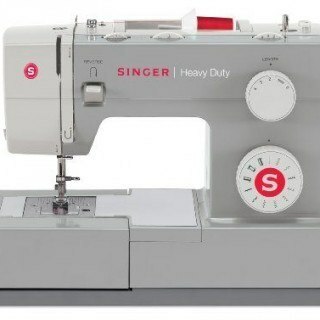 In less than 5 minutes, you can be sewing when you get this machine into your home for the first time! Is There an Advantage To Using the Janome 8077? We really loved the actual design of the push button commands the most with this particular sewing machine. So many designs require you to push buttons all over the machine to get the custom stitch you want. With the Janome 8077, all of your commands are centrally located so you don’t have to waste time trying to find the right button. Pattern stops, needle up/down commands, and everything else you need is right at eye level. If we could improve this sewing machine in one area, it would be to give it a little extra customization with the blanket stitches. It won’t provide long distance stitches beyond 2.5mm at the stitch setting, so your creative process is a bit limited in that regard. Lightweight fabrics can sometimes float a bit when feeding it as well, causing the material to go out of place unintentionally on you. For most users, this computerized sewing machine offers the versatility that you want, automatic features that you’ll love, and a price that isn’t very scary. If you’re in the market for a new sewing machine, then you should consider this one first. It’s easily one of the best sewing machines with these particular features that is on the market right now. Click here to look at pricing on Amazon and buy theJanome 8077 Computerized Sewing Machine.